It seems like ages since I've read any YA high fantasy and this was the perfect book to get me back into it. In some fantasy, it frustrates me when there's an outdated view of women plucked from some historical period. In this book, Asha is one of the most powerful people in the society and she has agency. Her father tries to restrict Asha and marry her off but Asha resists. She's a fantastic character - very well-developed and believable in her motives and actions. This book could easily be compared with Game of Thrones just because of the fantasy setting (and the dragons, which I loved!) Another similarity is that this book has really great writing, where I became invested in the plot, cared about the characters and didn't know what was going to happen. Even the smallest details had significance and I thought the plotting was really strong. Another thing I really liked was the stories. It was so clever that the stories of their culture related to the plot and you also got to read them! This was such a great touch. 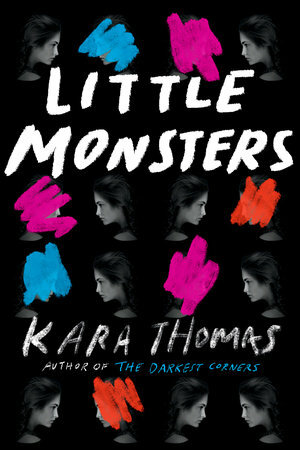 I really loved this book and I want more! Along with Royal Bastards, this is one of my favourite YA fantasies that I've read this year. If you liked the sound of this, now try Royal Bastards by Andrew Shvarts, which I reviewed here. The giveaway from this review has now ended. This was a fast-paced book that didn't take me long to read at all. I wanted to know what happened to Bailey and was intrigued to piece the clues together. I really liked the structure of this book, with the majority of the story told from Kacey's viewpoint and diary entries that illuminated the motives of another character. Seeing the events from different perspectives enhanced the experience of trying to solve the mystery. The pacing had a good balance of tension, scary scenes and lighter moments. 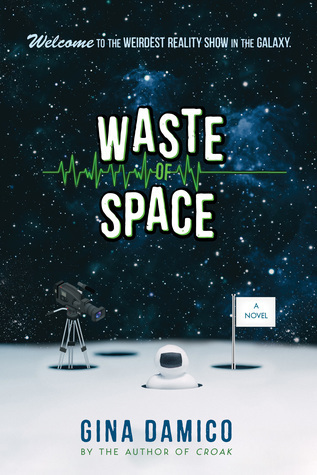 A couple of plot elements disappointed me, but overall plotting was a real strength of the book and I found it hard to predict what was going to happen! I liked the fact that the book explored Kacey's relationship with her step-siblings, as I haven't seen this in many YAs that I've read recently. I found this a tense, enjoyable read that kept me guessing. If you liked the sound of this, now try Lying about Last Summer by Sue Wallman, which I reviewed here or Cruel Summer by Juno Dawson, which I reviewed here. This is a book that I probably don't have to tell you to read - the chances are you already have based on the love I've seen for Wing Jones online. If, like me, you're a little late to get around to it, I recommend that you make it a priority! This is a beautifully written, uplifting book with amazing characters. Wing herself was my favourite part of this book. She had so many layers and her responses to the events of the book were believable and relateable. I liked watching her grow as a character and that she didn't always have the answers. Katherine Webber's descriptions of the 1995 deep south setting evoked strong feelings of the time and place. These created an effective backdrop for Wing's conviction that she is between two worlds and her journey towards finding her place. The voice of this book was very convincing, capturing Wing's emotions amidst vivid, sensory descriptions and whimsical touches that I really enjoyed. This has been a great year for books and Wing Jones has been one of my favourites so far. If you liked the sound of this, try Truth or Dare by Non Pratt, which I reviewed here. This was the book I was most excited about at YALC and I was thrilled to get a copy. I’m a big fan of the 90s Point Horror series and slasher movies, but I haven’t read a recent YA along these lines. There’s Someone in Your House is a thrilling, gruesome book and I enjoyed every page! One of the best things about this book was the pacing. It’s so cleverly plotted that there wasn’t a single moment where I got bored, or was pulled out of the narrative because something just didn’t make sense. A couple of plot points weren't quite as strong in my opinion, but overall it kept me guessing, and had me caring about these characters who may or may not be brutally murdered. Even the minor characters who only lasted a few pages were really well developed, and I was never sure who was going to make it to the end of the book. I warmed to the core group of characters, and there’s an amazing romance that I was 100% behind. The horror elements were also brilliant. It was gory in places, and tense all the way through. The book kept a really good balance of elements, so the lighter moments and romance were all the sweeter against the darkness and horror. This is one of the best horror books I’ve read for ages and I really hope Stephanie Perkins writes more! If you liked the sound of this, now try Cruel Summer by Juno Dawson. I’ve been to every YALC and it gets better each year. This time, I split my time between YALC and having photographs taken at LFCC. I met so many lovely people (Steph @eenalol, Liv (@liv_gacka), Cora (@Corazzz), Kelly (@kellysambles) and many more) attended inspirational workshops and panels, and got more books than I could squeeze into two suitcases. Who needs clothes? One of those books is an extra signed copy of A Darker Shade of Magic by VE Schwab. You can earn up to three entries by following my blog, leaving a comment and retweeting my pinned tweet (@yaundermyskin). This is my book haul, a mixture of books I bought, samplers and proof copies. The process of dashing around to some stalls for proofs was quite stressful, so I avoided going for those. 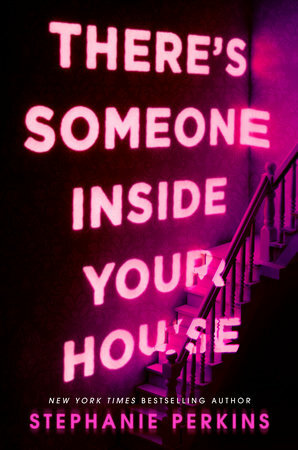 I’ve already read There’s someone inside your house and it was incredible – a super tense, scary and romantic read. I’m really excited about Everless in particular (and in love with the white cover). At London Film and Comic Con, I had photos with Kevin Smith, Finn Jones, Michael Rosenbaum and Alyson Hannigan. Special mention has to go to Alyson Hannigan, since Willow has been one of my favourite characters since Buffy started. She was really friendly and I don’t think I’ve ever been so star struck! 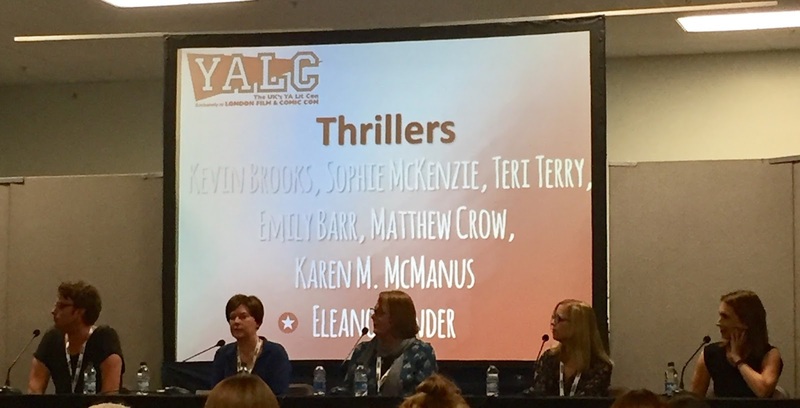 There were so many amazing things to do at YALC and LFCC that I couldn’t fit it all in. These are the highlights of the events that I attended. Everything is based on my speedily scribbled notes, so apologies for any misquotes or errors! I started off in a writing workshop with Olivia Levez, author of The Island and The Circus. This was a fun opportunity to write a circus scene as a villain with Olivia's guidance, using her prompts, tips about making a scene cinematic and writing prompts. My next stop was the Heroines panel with Sophia Bennett, Melinda Salisbury, Amy Alward, Laure Eve and Alwyn Hamilton. I adore all of these authors, so this was a massive treat! I was interested (and unsurprised) by what Laure Eve had to say about her heroes. She’s interested in writing villains, who know what they want and are willing to do anything to get it. They said overall that heroines are characters who have agency, that you can root for and who stand up for their beliefs. Alwyn is drawn to characters learning to be heroes, while Laure is interested in where it goes wrong for them. Sophia made the very important point that we need a variety of role models, and girls need to see themselves in books. I was really excited by the Thrillers panel, because this seems to be a genre that I’m reading more and more. The main point I took away from this is that a lot of us like a bit of light in contrast to dark subjects in thrillers. Karen McManus also made a comment that stood out to me, about thrillers creating tension by giving readers characters they care about and then making them miserable. It was really great to hear about the many forms that YA thrillers can take. I’ve already read Emily Barr and Karen McManus’s books, but I definitely need to pick up Sweetfreak by Sophie McKenzie. The Buffy panel was the essential ending to my day. It was so fun to hear some of my favourite authors quoting Buffy and discussing their favourite (and controversial least favourite) episodes. After YALC, I headed to Quiz YA, which was run by the amazing Non Pratt as a fundraiser for the Royal Hospital for Neural-disability. This was a great chance to catch up with old friends and meet some new ones (especially Millie @bookbirdfiction and Holly @HollyStorm). I also got to be on Alwyn Hamilton’s quiz team, which was very exciting as she's one of my favourite authors! Although we didn’t win, we had a lot of fun (and ate a lot of sweets). I spent most of this day queuing for photos (totally worth it) and feeling excited about seeing Laini Taylor’s panel at the end of the day. I also picked up a couple of great proofs and had my books signed by VE Schwab, who is super friendly and smart! The only workshop I did was Melinda Salisbury’s Books and bags, where we learned how to make cute bags out of books, and weren’t at all surprised that Mel enjoyed wielding sharp tools. 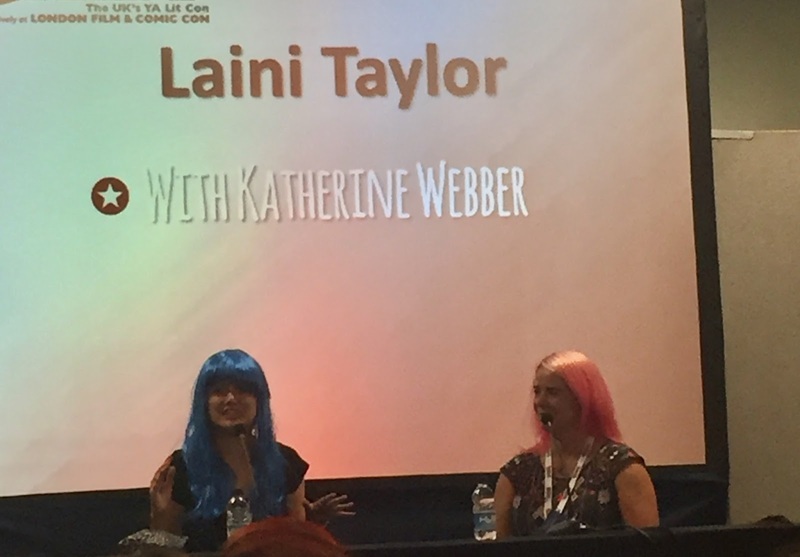 Laini Taylor’s panel was one of my highlights of the weekend. She was interviewed by Katherine Webber, the author of Wing Jones, which made this extra special because Wing is one of my favourite debuts of the year! Laini talked about her idea for Strange the Dreamer being made up of a few premises that fit together. Her initial idea was the Muse of Nightmares, and the left behind children of murdered gods. Lazlo stole the story from them! For her, stories grounded in our reality are easier – it’s harder once you strip away pop culture and wider cultural references. Katherine commented on Laini’s amazing world building, and she said that’s all she did as a young writer! Now, she doesn’t do as much world building. She likes to leave corners of the world unfinished, because you don’t know what you’ll need. It was incredibly reassuring to hear that Laini has to find the right way into a story, and she decided to introduce the city of Weep through the eyes of an outsider. The books that made me panel featured the dream team of Laini Taylor, VE Schwab and Joanne Harris. My favourite part of this was when V talked about Harry Potter. Her mum’s friend called about this book she’d got signed for V from some unknown author called JK Rowling! My first workshop was Writing from Myth with Sarah Mussi. This was a really useful workshop where we looked at the elements of a story and how you can draw out key elements from a myth. It’s a bit like writing fan fiction, as it’s based on a story that already exists. Myths are proven to have powerful elements. Next I attended Kevin Smith’s panel, who has been one of my favourite directors since I was in my early teens. Dogma and Mallrats are my favourites of his films! The weekend ended on a high with Juno Dawson interviewing Patrick Ness. I love both authors and it was a joy to hear them talking about writing (and making filthy jokes!) Patrick Ness talked about drawing inspirations for Release from Mrs. Dalloway by Virginia Woolf and Forever by Judy Blume. The book isn’t autobiographical, but there’s a lot of him in it and some events really happened. 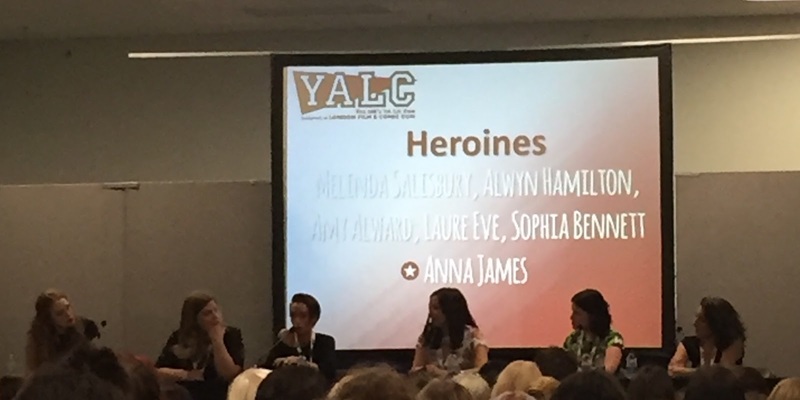 YALC was an amazing, inspirational weekend and I’m so grateful to the organisers and the authors who attended. Thanks for reading my exceptionally long post (if you've made it this far) – good luck with the giveaway! This blurb really appealed to me but I didn't know what to expect. It ended up being a fun, unpredictable read. The structure of this book felt fresh, as it was written like genuine documentation about the reality TV show. The voices of each different extract came across as very authentic, and were pieced together cleverly to create a cohesive narrative. It reminded me a lot of The Illuminae Files, even though the kids in this book aren’t really in space! It was interesting how the book highlighted that the children were selected for the TV show because on the surface they represented certain groups. This provided a lot of opportunities to challenge stereotypes and flesh out characters as the book went on. The only downside of the cast size was that I didn't connect quite as much with the characters. Another thing I really liked was the idea behind the book. It was original, current and executed brilliantly. The reality TV concept was a strong hook and the action definitely lived up to the idea. I loved how this book took some unexpected turns and I really hope there's a sequel! I have a fabulous guest post today from Siobhan Curham, the author of the gorgeous Moonlight Dreamers series. 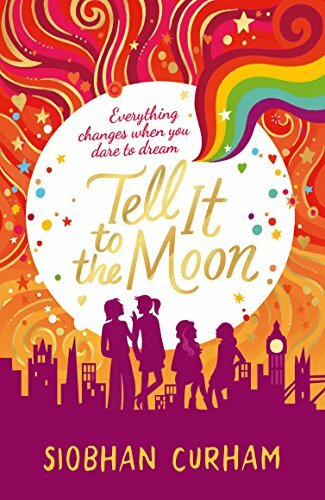 The sequel Tell it to the Moon is out on 3rd August and it sounds like a lovely, uplifting story of friendship. You can read more about the book here. For today's guest post, Siobhan shares her process of writing Tell it to the Moon and offers some fantastic writing advice. I started the writing process of Tell it to the Moon by taking myself out to a café with a notebook and pen and having a coffee-and-cake-fuelled brainstorm about the issues I wanted to cover in the book. Writing a novel is a long and solitary process, so it’s really important to write about subjects and characters that fire you up and will keep you entertained. Writing a sequel is easier in some respects because you already have a fully formed cast of characters, but the challenge lies in keeping the storylines fresh and interesting. So I asked myself the questions: What do you really want to write about? What makes you angry / inspired / excited / curious? Then I began jotting down ideas. The first subject that came up for me was the school system and how I feel it’s failing young people. So I decided to explore this through the character of Sky, who, in Tell it to the Moon, is sent to high school at the age of sixteen after being home-schooled her whole life. Another issue I was keen to explore was sexuality and coming out. I was also interested in testing Maali’s spiritual faith to breaking point, and I decided to give Amber an identity crisis and continue the bullying storyline that I’d started in the first book. Once I’d figured out the main storylines for each of the characters, I took a pack of index cards and wrote out the major scenes on them. Then I played around with the order and started filling in the gaps with more scene cards – at this point most of my living room floor was covered in the plot, which made for an interesting talking point with any visitors! Then I started writing. Once I started writing, other ideas for the plot began popping up. In the first book I’d been keen to avoid any of the characters having a romantic relationship, as I wanted the emphasis to be on the girls’ friendships. But this time round I thought it would be interesting to have one of the characters completely unexpectedly fall in love and examine the impact this would have on her friendships within the group. I also got the idea to send one of the characters off on her own mini-adventure. I like to be flexible with the plot as I’ve learned that often the best ideas come up once I’ve started writing. Sometimes it feels as if the characters have taken over and they’re telling you what they’d like you to write. I love it when this happens because it means I’m really in the creative flow. I wrote all of the first draft at my computer, apart from Sky’s poems. For those, I took myself off to Brighton beach with a notepad and pen and wrote them free-hand, imagining I was her. It’s fun being a writer, pretending to be another writer! Then I typed them up into the manuscript. As with every novel I’ve written, for about the first half, the task ahead feels incredibly daunting. Especially when I looked at my scene cards all laid out and saw how far I still had to go. But once you pass the half way mark something shifts psychologically. I also seem to pick up speed with my writing, which provides another boost. Finally getting to that very last scene card is one of the sweetest feelings in the world, beaten only by typing the magical words: THE END. It took a couple of redrafts to knock the book into shape – it’s hard juggling four separate storylines and my editor’s great at spotting which character isn’t quite getting her fair share of the spotlight, or which story needs a bit of fine-tuning. Once a novel is edited, it has two final checks: the copy edit and the proof read, both of which are done by separate people, so it’s being looked at by fresh pairs of eyes. Then finally, I’m sent a proof copy – the first time I get to see the novel laid out in book form, which is always a thrill. But nothing beats the thrill of seeing the finished product. And this was particularly true with Tell it to the Moon, as I was so delighted with the beautiful cover Walker Books created. Seeing your finished book makes all of the hard work of plotting, writing, rewriting and editing so worthwhile. And it’s a dream that every aspiring writer should hold on to. Thanks so much Siobhan! I love gaining an insight into the writing process and picking up tips from writers that I admire.